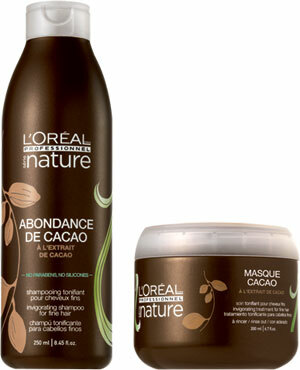 This is the first time I have used any of the Serie Nature range, and they didn't disappoint. As with all L'Oreal Professionel products, you don't need alot to get results. The shampoo lathers up extremely well, and the masque is so good I didn't need to use my wide-tooth comb to detangle my hair! After drying my hair I was left with super soft and very glossy hair, which even my husband commented on (which shows how good it is). This particular one has a soft chocolate orange scent to it, which reminds me a little of Cadbury Quality Street Orange Cremes. It's so subtle that you can't really smell it on your hair after you have dried and styled it, which I personally prefer. So has anyone else tried the Serie Nature Range?